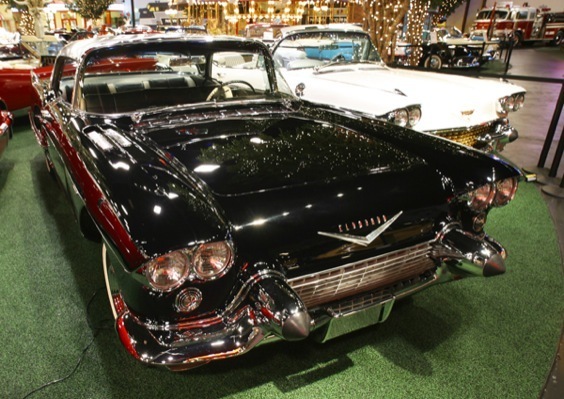 Details of car above: One of 304 units built in 1958. 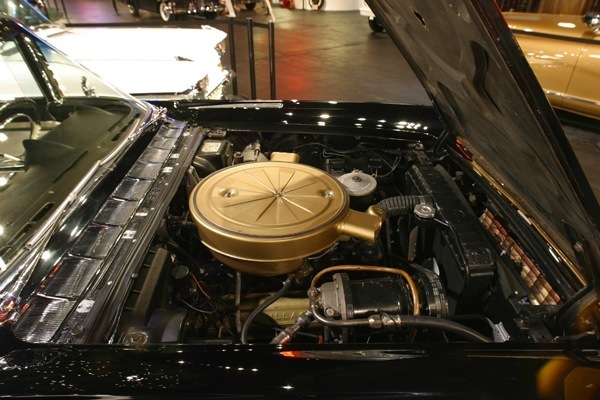 The stainless steel top was the Brougham signature. 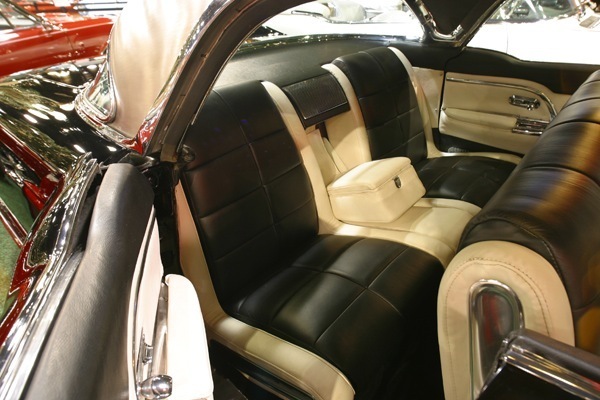 These cars were built fully loaded with all options including memory seat. 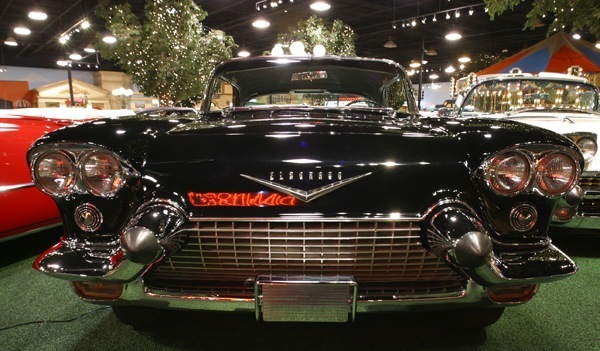 The Eldorado model was part of the Cadillac line from 1953 to 2002. 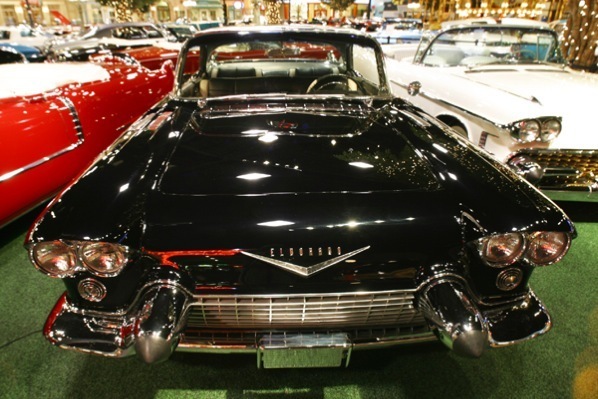 The Cadillac Eldorado was the longest running American personal luxury car as it was the only one sold after the 1999 model year. 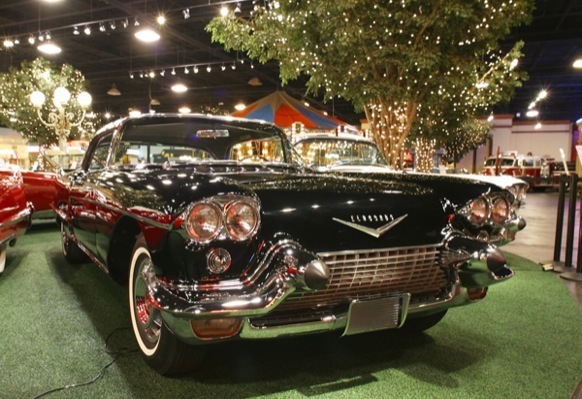 Its main competitors included the Lincoln Mark Series and the lower-priced Buick Riviera. 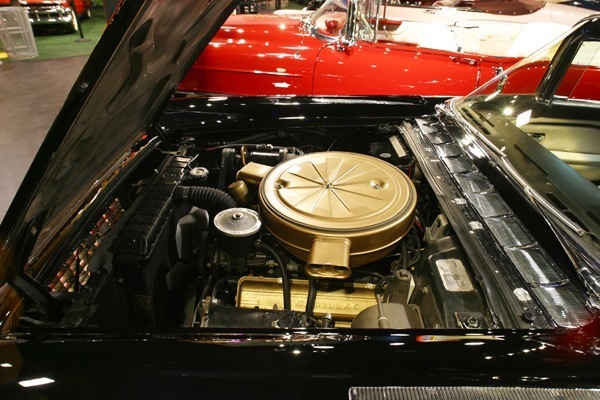 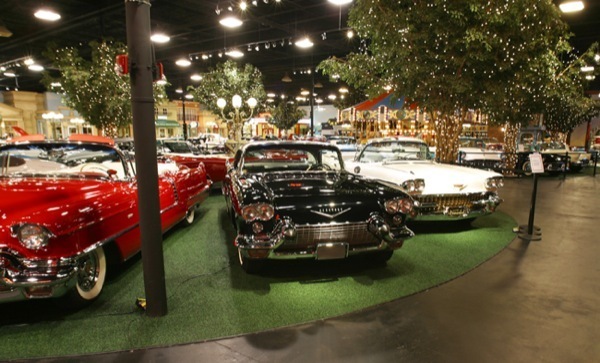 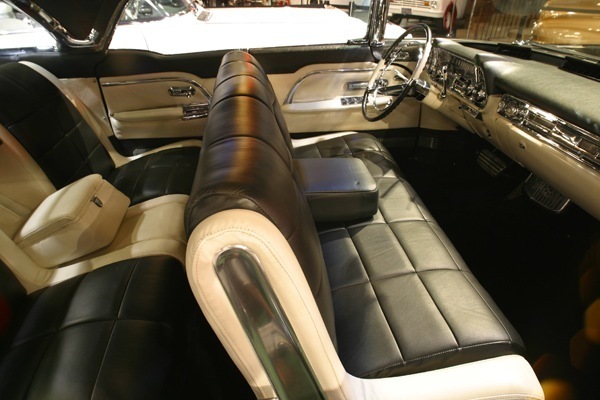 Although cars bearing the name varied considerably in bodystyle and mechanical layout during this long period, the Eldorado models were always near the top of the Cadillac line. 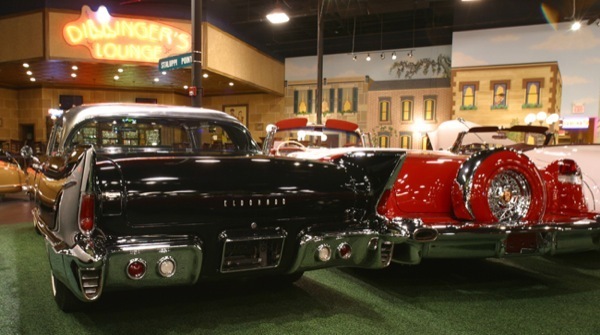 Nevertheless, and except for the Eldorado Brougham models of 1957–1960, the most expensive models were always the opulent, long wheel-based Series 75 sedans and limousines, not the Eldorado. 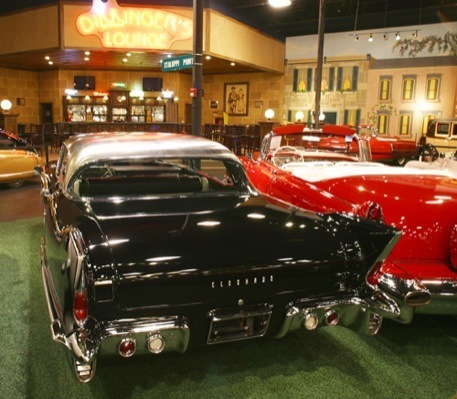 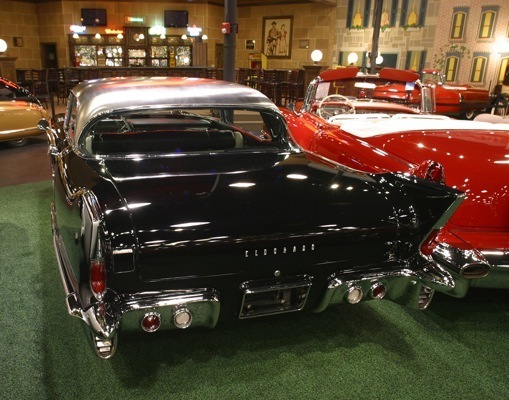 For 1955, the Eldorado’s body gained its own rear end styling with high, slender, pointed tailfins. 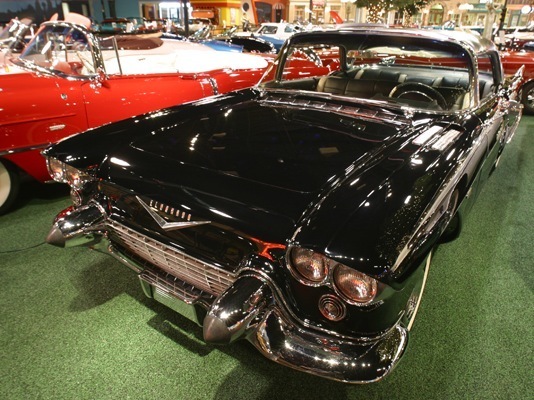 These contrasted with the rather thick, bulbous fins which were common at the time and were an example of Eldorado once again pointing the way forward. 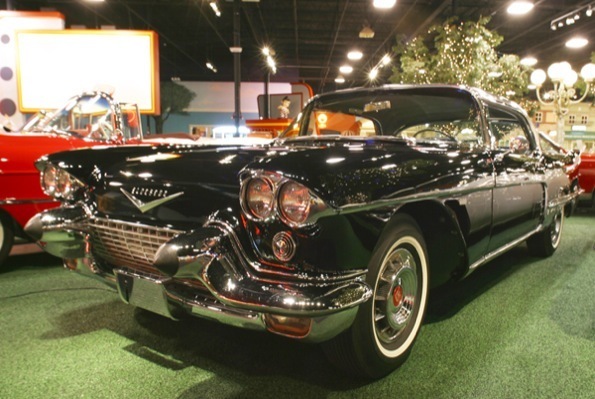 For 1956, a two-door hardtop coupe version appeared, called the Eldorado Seville. 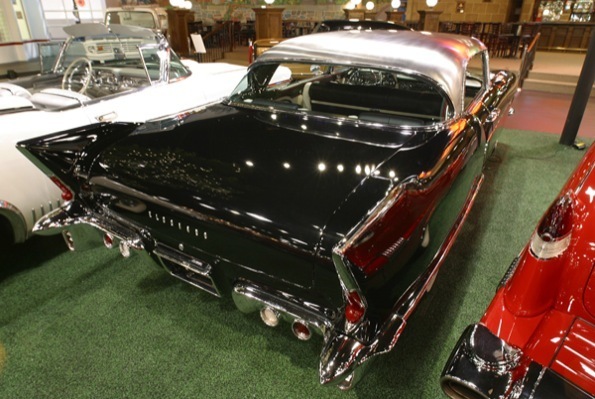 1957 saw the Eldorado (in both Biarritz convertible and Seville hardtop bodystyles) with a revised rear-end design featuring a low, downswept fenderline capped by a pointed, in-board fin. 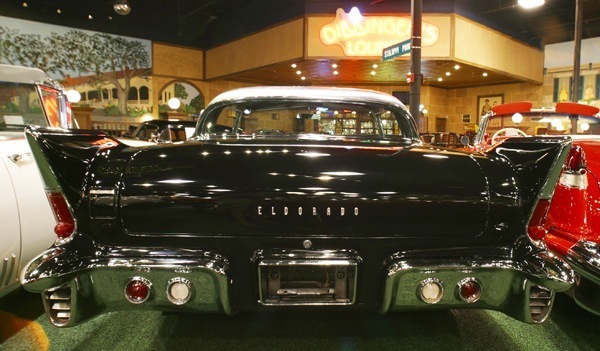 The rear fenders were commonly referred to as “chipmunk cheeks”. 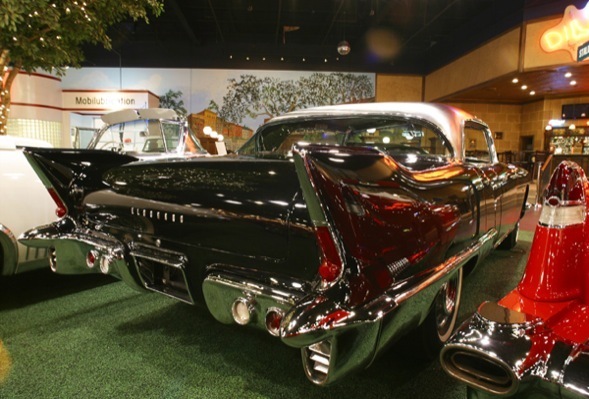 This concept was used for two years, but did not spawn any imitators.1957 was chiefly notable for the introduction of one of GM’s most memorable designs, the Eldorado Brougham. 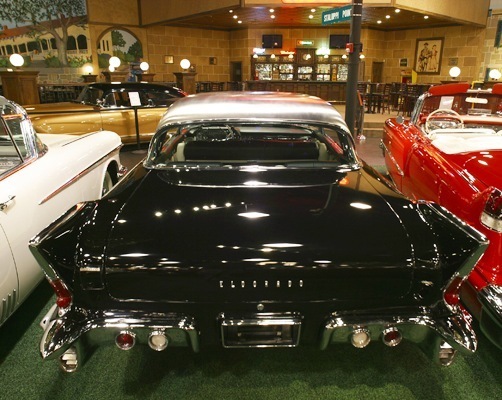 This four-door hardtop with rear-hinged rear doors was an ultra-luxury car that cost an astonishing $13,074 — more than the Rolls-Royce Silver Cloud of the same year. 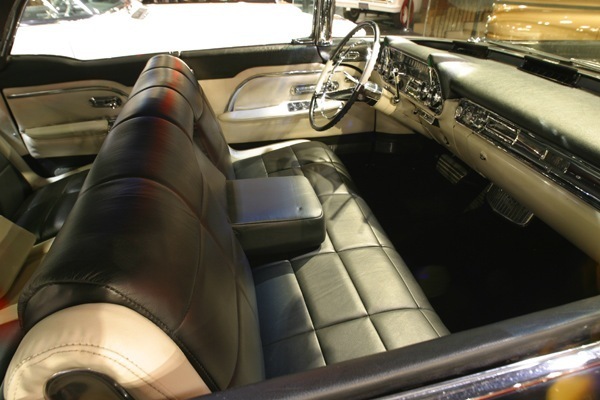 It featured a stainless steel roof, air suspension, the first memory power seats, and every other comfort and convenience feature available at GM at the time.